I read Peter’s first book, The Girl With A Clock For A Heart,which was good, so when I saw he had released another I figured I’d give it a go. 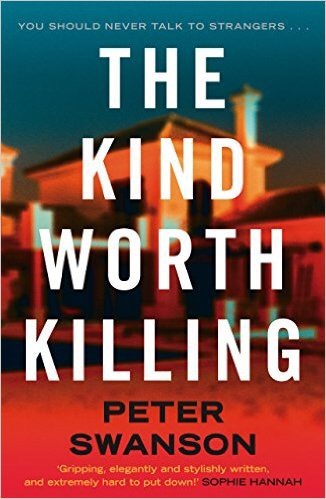 I am so glad I did because The Kind Worth Killing is all kinds of FRICKIN AWESOME!!! As a book, it’s a superbly stylish thriller. Well written, suspenseful and it just draws you right in! The plot twist was mahoosive!!! I mean, I just didn’t see it coming. I had to re-read the pages a couple of times before I picked my jaw up off the floor!!! I will not say any more about the plot as its too great a story for me to describe it. YOU NEED TO READ THIS BOOK!! !